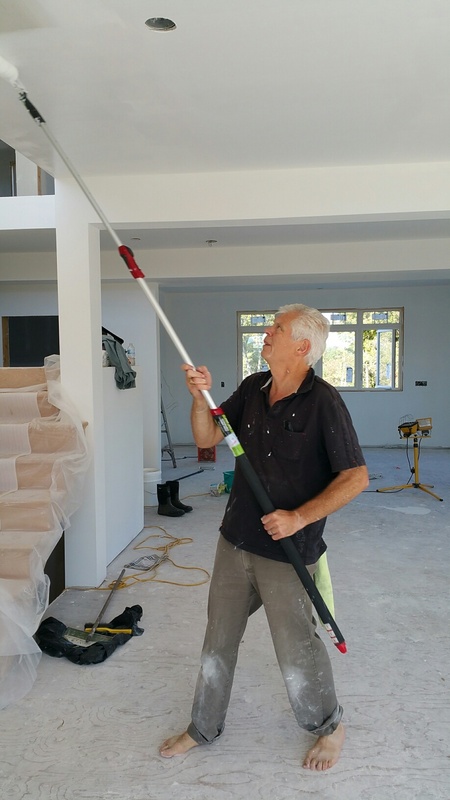 We have told our builder right from the beginning that we are fairly experienced painters and wanted to do the interior painting of our house rather than pay a contractor to do it. Last week he informed us that this would be the best week to get that done. There would be no trades in this week and there is still no flooring or trim to worry about. “And, by the way, you can do the primer coat too, he added.” We said, “yes,” and started on the weekend and received some help from Jonathan and family who were with us for Thanksgiving. The two grandchildren were eager to help edging some of the lower sections and our daughter-in-law was a big help not only in painting but in selecting paint colours. We hope to finish the primer coat tomorrow and begin with the coloured paint. Perhaps we’ll have some finished pictures to show after next weekend. Painting pictures aren’t the most exciting but here are a couple. Tomorrow we’ll post some pictures of scenes from our windows that we have enjoyed while painting. Priming isn’t the most exciting kind of painting but needs to be done. 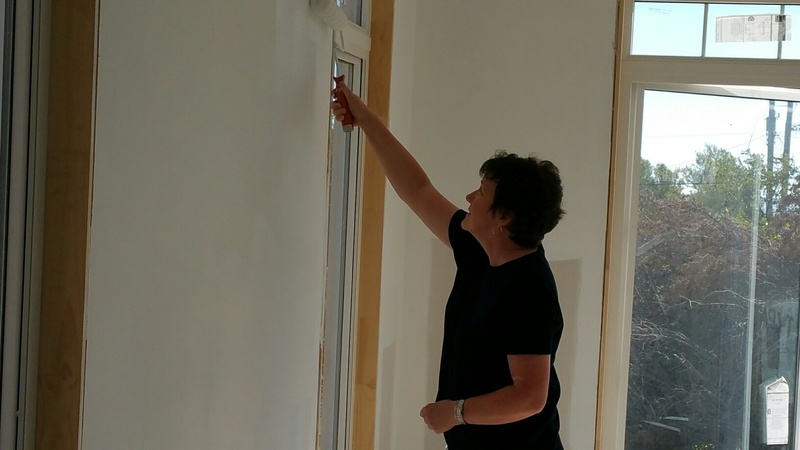 In addition, Sheila spent many hours sweeping and vacuuming dust from the drywall and mudding which was completed last week. Whose idea was it to have such high ceilings? Actually, I haven’t found the ceilings as difficult as I thought I might, partly because of the lovely new extender handle that our daughter-in-law lent us.